Earlier today speaking to a crowd, in Coventry, he said he wanted to start a ‘democratic revolution to change politics’. 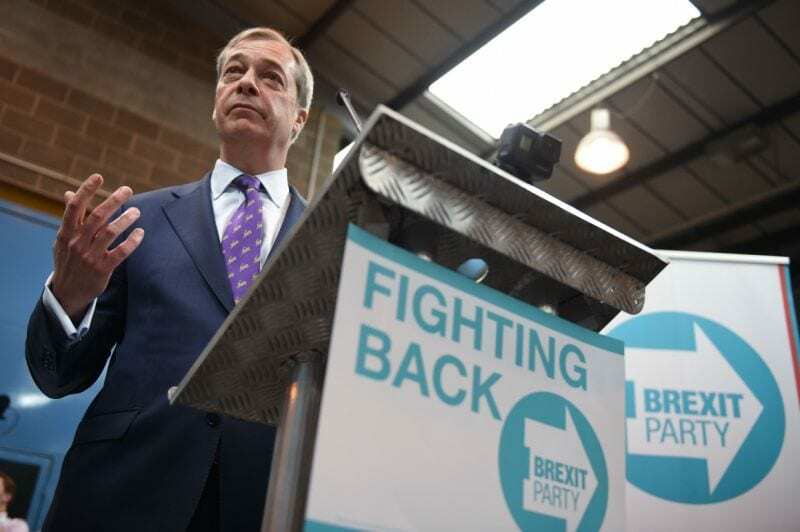 Nigel Farage, the former UKIP leader and anti-muslim politician, has launched a new party called the ‘Brexit Party’. During his speech, he echoed sentiments from President Trump’s campaign in the United States and focussed on the word ‘change’ whilst inferring his anti-establishment approach to politics. He said the European elections May is the party’s “first step” but its “first task” was to “change politics”. Some political analysts have already suggested that he has convened the support of Donald Trump and already the party has received £750,000 online over 10 days. He notoriously came to fame as the leader of the UKIP party whose anti-Muslim and anti-immigration approach fueled far-right extremists into British politics. His has tried to move away from his beer drinking thuggish image by spending time in the US as a consultant for Donald Trump and was one of the main supporters for Trump’s Mexican Wall and his ‘Muslim Travel Ban’. Political analysts have likened the British politician to the Dutch MP Geert Wilders, who has been labelled as a Far-right White Nationalist hate preacher. The Far-right has come under increasing criticism over the past few months, following the massacre of 50 Muslims in New Zealand. Which according to some reports has been the catalyst for the rise of Islamophobia around the world. Mr Farage is attempting to establish the ‘Brexit Party’ as a new brand but at the same time lure his old loyal followers to his new party. Earlier he told BBC Radio 4’s Today programme: “In terms of policy, there’s no difference (to UKIP), but in terms of personnel there is a vast difference. The UKIP leader dismissed this as false and suggested MR Farage is using this party as a vehicle for himself to political clout in the next round of European elections.